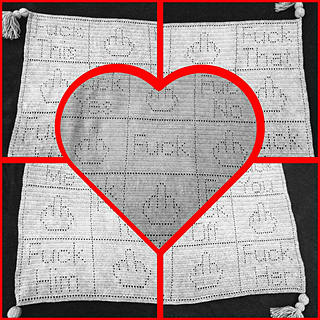 This pattern is to make a cheeky slogan blanket, perfect for those days when you just need a cuddle! You can use any hook and any yarn you wish. I used 3.5mm hook with Womens Institute Premium Acrylic DK yarn. My blanket measures approx 54” wide x by 44” length and used 10 x 100g skeins. Pattern includes chart and full, stitch by stitch written instructions which makes it easy to follow, even for beginners.